Travel, a marvellous activity and one which mankind has partaken in since the year dot. Whether it’s for business or leisure it’s a side of human undertaking which attracts almost all of us in one form or another. In the 18th Century Captain James Cook was a great man for throwing caution to the wind, setting sail on a whip and seeking out new territory, oceans from his home in England. Voyage, exploration and discovery were key ingredients in the mix which provided the drive for adventure which the spirited Captain possessed by the bucketful. The following century another Englishman with a similar surname came into prominence, consumed with the desire to travel and experience regions new. Indeed, Thomas Cook not only strived to travel much further afield than the boundaries of his own town but he was never happier than when a group of avid holiday-makers were along for the trip! In the mid to late 1800’s, a time when the majority of the general public rarely strayed further than the village Inn, a holiday away was an alien concept. Thomas Cook had the foresight to create excursions for leisure and entertainment purposes……..The world’s first travel agent was formed. Father of travel, Thomas Cook and his son, by rail and sea transportation, went on to develop the package tour as we know it today. From these early two-shilling “outtings“ grew a highly successful global travel company, the Thomas Cook Group. 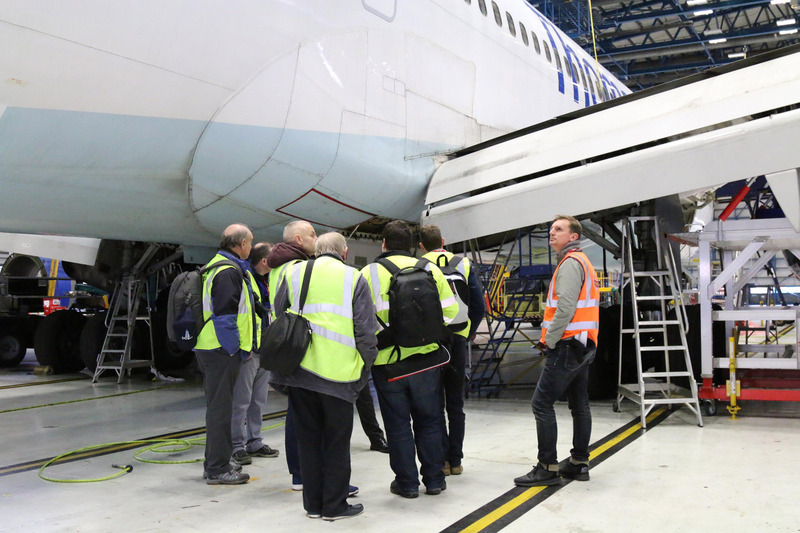 On Wednesday 6th of December a group of intrepid travellers with Airliner Experience, both young and not so young, braved the seasonal weather and converged on Manchester Airport by air, rail and road. 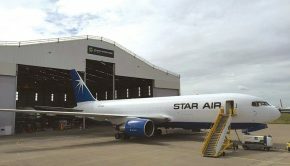 And what of the mission objective……….A behind the scenes look at maintaining the fleet of medium and long haul aircraft of Thomas Cook Airlines at Manchester Airport, UK, the airlines Headquarters. The lucky group of aviation enthusiasts from Ireland and the UK travelled from across both countries to begin the day observing arriving and departing aircraft, viewed from the excellent Runway Visitor Park adjacent to Manchester Airport. A diverse range of aircraft service MAN, including A380, A350, A330, B787 Dreamliner and B777’s from various big-name airlines. 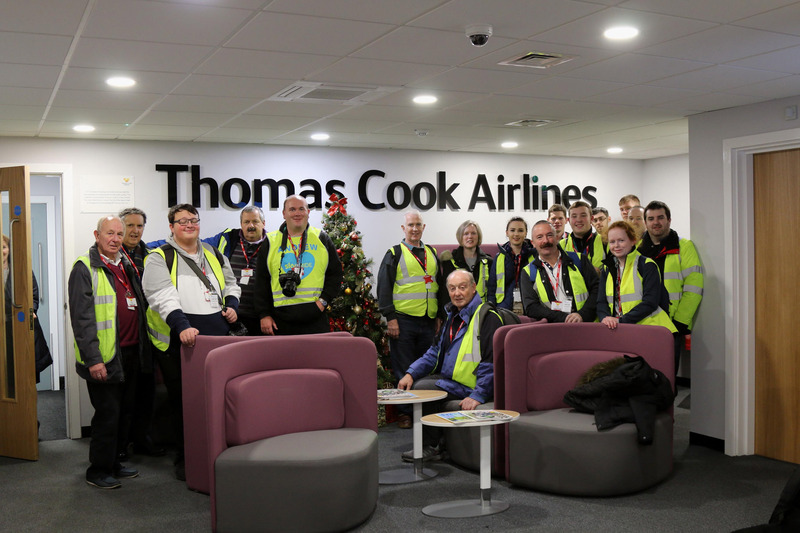 Eventually we had to cease ’spotting’ and commence the short commute to the Aviation Cargo Park where once through security the group followed the route leading to the entrance of Thomas Cook Aircraft Engineering. Aircraft models adorned the comfortable Reception which contributed to an atmosphere only experienced in high-end aerospace engineering facilities. A warm welcome was received from our Hangar Manager who made introductions to his colleagues and briefed the visitors on matters of safety, the days itinerary and outlined the company’s activities and background. 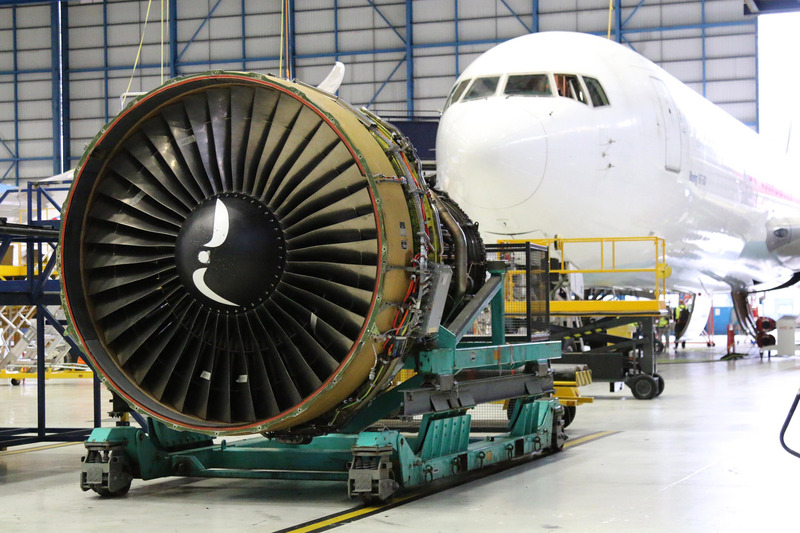 One of the largest facilities at Manchester Airport, Thomas Cook Engineering is a vast complex, capable of accommodating 4 or 5 aircraft, which is required to maintain the airlines 36 aircraft. The fleet consists of a single A320, twenty-one A321’s, seven A330’s, five B757-300’s and two B767-300’s. Our group was divided into three sub-groups for ease of access to aircraft and movement around the hangar floor. The hangar itself, think F1 work-shop tidiness. A place for everything and everything in its place. Several aircraft were present during our visit including a 1994 B767-31K(ER)(WL) in the previous white/blue Thomas Cook livery. This aircraft was coming off long-term lease and undergoing a complete return to prime condition before its return. 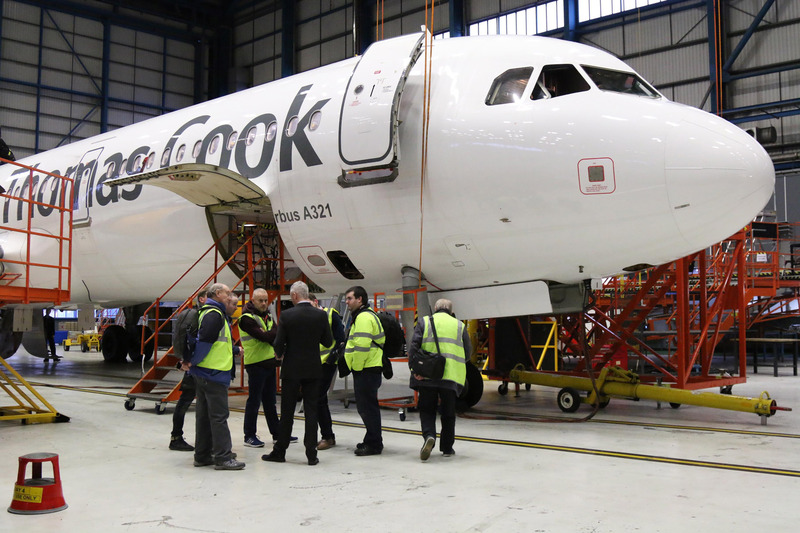 A lengthy process with every aspect receiving attention by some of the 450+ aircraft engineers whose home is Thomas Cook Manchester. The group explored every aspect of the B767 including cockpit, cabin, hold and full walk-around with constant commentary from our extremely knowledgeable guide Paul. The inspection was much more than a mechanical viewing, as operational accounts and incidents were delivered to the group in an informative and thoroughly interesting way that had each of us eager for the next instalment. Take this B767 alone, the list and variety of destinations visited during its long service is incredible when one thinks about it. Add to this the phenomenal distance travelled, estimated to be equivalent to approximately fifteen round trips to the moon! Crawling all over this Boeing soon had most of us feeling peckish. Arrangements had been made for the group to sample some fine food in the comfortable surroundings of the Thomas Cook canteen. The interior, furnishings and colour pallet was of an aviation theme punctuated with exquisite framed images of a selection of Thomas Cook Airlines aircraft. Hunger pangs at bay it was on with the tour. The group were led to one of the fleets narrow-body aircraft, an Airbus A321 in the current white/yellow “Sunny Heart“ livery. Again an external and internal inspection was enjoyed by all with explanations given throughout by Paul and our other guides. Interesting to compare a more modern glass cockpit compared to the older B767. This A321’s appearance belied its years. 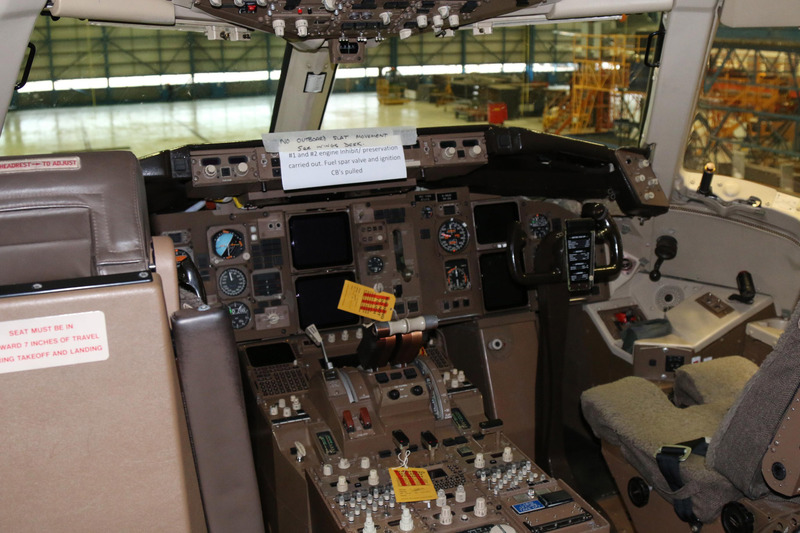 The 220 seat aircraft was receiving the finishing touches of a full make-over. The new charcoal/grey leather slim line seating, overhead lockers, ceiling lighting, flooring and trim all provided a new-look interior. These additions along with a new exterior painting have extended the aircraft ‘s life by years. 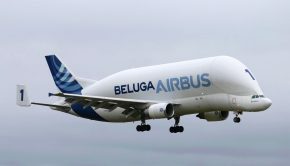 A very smart looking Airbus, a great result by a super team. As we moved to the far side of the hangar a viewing of a third party aircraft which was present during our visit was a pleasant surprise for the group. 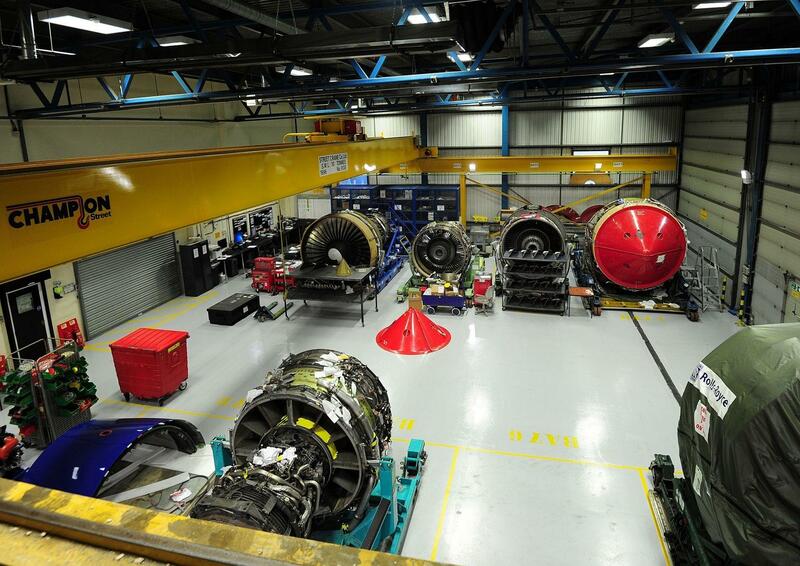 Housed in a separate section of the Thomas Cook facility are probably the airlines most treasured possessions………a selection of new CFM56, CF6-80, RR Trent 700 & RR RB211 turbofan engines for the range of aircraft flown by the airline. The supply is retained for emergencies and regular engine renewals. Some of the larger engines costing £20 million each just for the unit alone not including ancillary components. Expensive and delicate parts such as titanium fan-blades are from time to time fettled within this workshop. A number of complete APU‘s are also available off the shelf in this Aladdin‘s cave. 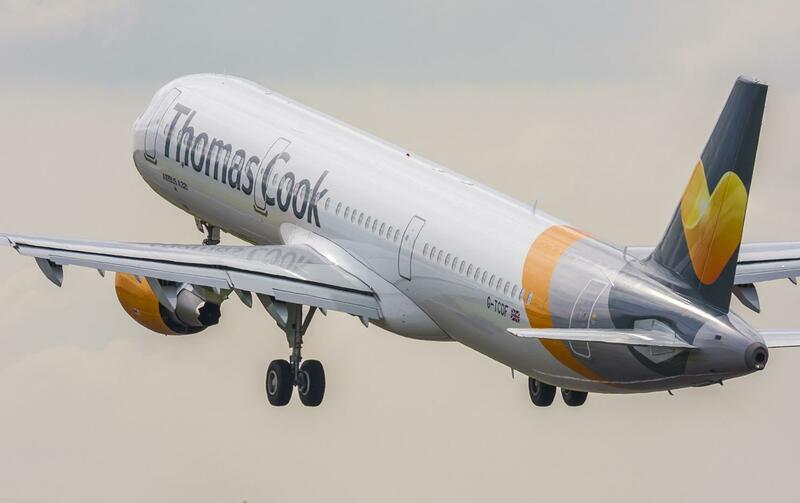 From its early beginnings Thomas Cook has grown into an enormous group, specialists in the travel industry and supported by almost 22,000 employees. A mind-bending number of staff. This of course includes Thomas Cook Scandinavia, Belgium, Condor and Thomas Cook Airlines UK with a merger in 2013. 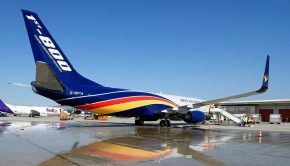 With the larger wide-body aircraft serving the long-haul destinations for which the airline is probably best known, the short & medium European routes are left to the A321’s to service. Orders have been placed for several new aircraft, which include A320, A321 & A330 types. The revised white/yellow “Sunny Heart“ livery was positively received by enthusiasts and the general public alike, not only an improvement but an instantly recognisable attractive scheme. Our visiting group were well aware of the privileged position they were enjoying, soaking up the aviation atmosphere in this vast cathedral of aircraft engineering. 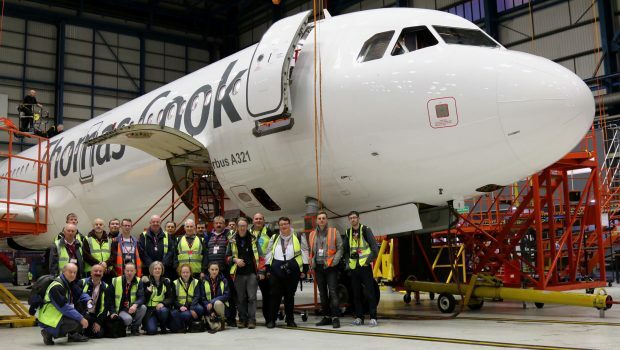 It was clear from the work witnessed that only a dedicated, devoted and highly skilled team could produce the quality operation required to maintain a modern airline fleet that is Thomas Cook Airlines. Full praise indeed to all involved in this 24/7 aircraft life-support service at Manchester Airport. Our enthusiasts visit didn’t quite end there however. As we said our fare-wells and thanked our excellent hosts for what was a thrilling and highly enjoyable tour, the group hurriedly made their way by bus back to the airport Terminal. Rumours abound all day were actually about to come true. 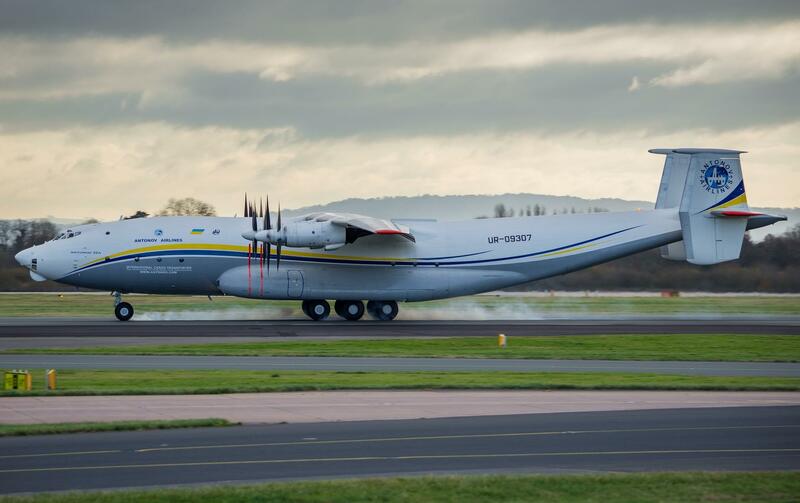 Word that the world’s only commercial Antonov An-22A was on short finals at Manchester Airport spread like wild-fire through the ranks. 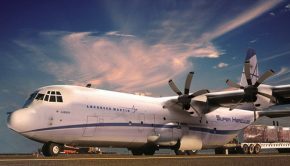 On mass the main group became several splinter groups each rushing for the best vantage point to catch sight of this leviathan of turboprops and cargo aircraft full stop! Under a wet, windy and dark Manchester evening, UR-09307 thundered onto the active runway and taxied to stand with its bellowing four contra-rotating propellers. Its long flight from Cuba via Ganger to Manchester would take it to the door of Thomas Cook with a much anticipated delivery. The icing on the cake and an exciting finish to what was a fabulous day of aviation. 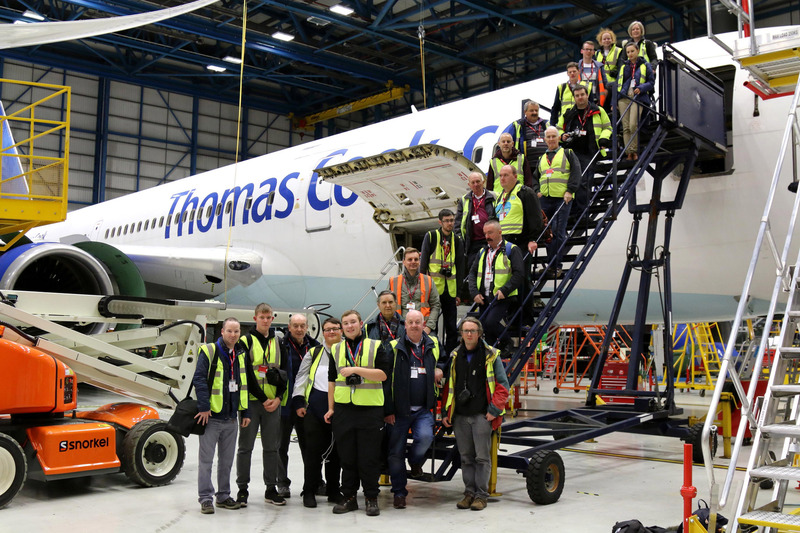 A day where a select few well deserving enthusiasts stepped over the threshold from public to private and were privileged to access the secret hall of aircraft maintenance at Thomas Cook. Sunny Heart, indeed Big Heart and a Big Thank You to the staff and management of Thomas Cook Aircraft Engineering.